This is my AT thru-hiker motto! (With all respect to the British in World War II). We made it 100 miles, and we are so strong. 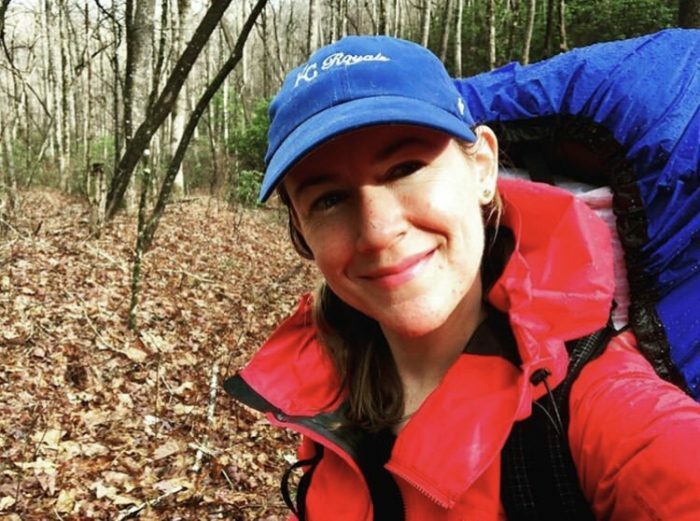 We will make it to Katahdin! Also, we would like some sugar candy. Says my brother George. I have great memories of these church youth group trips. (See below). 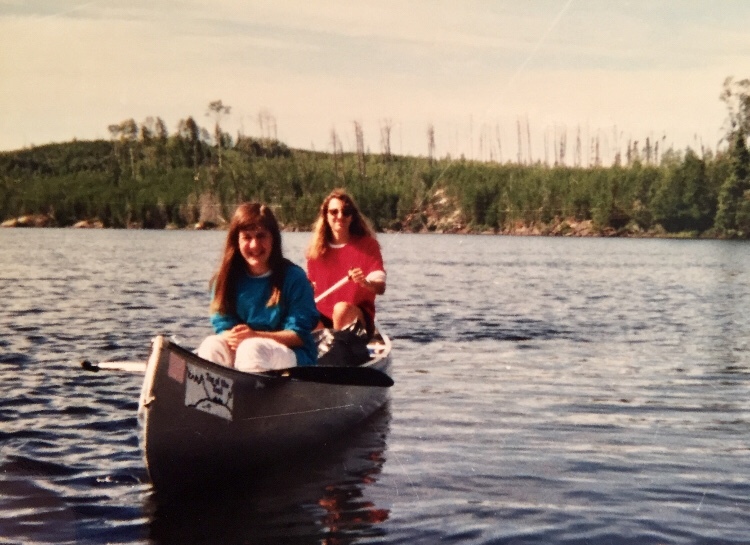 8th grade backpacking trip to Boundary Waters, MN. But also- unlike youth group- no one’s parents are making them be here. We are all here because we want to be! And many of us left something big behind. In my case I go both faster and farther with my trail family. Our group as of now. Freight Train not pictured. This is the number one thing I hoped for. OK, next to avoiding bear attacks. 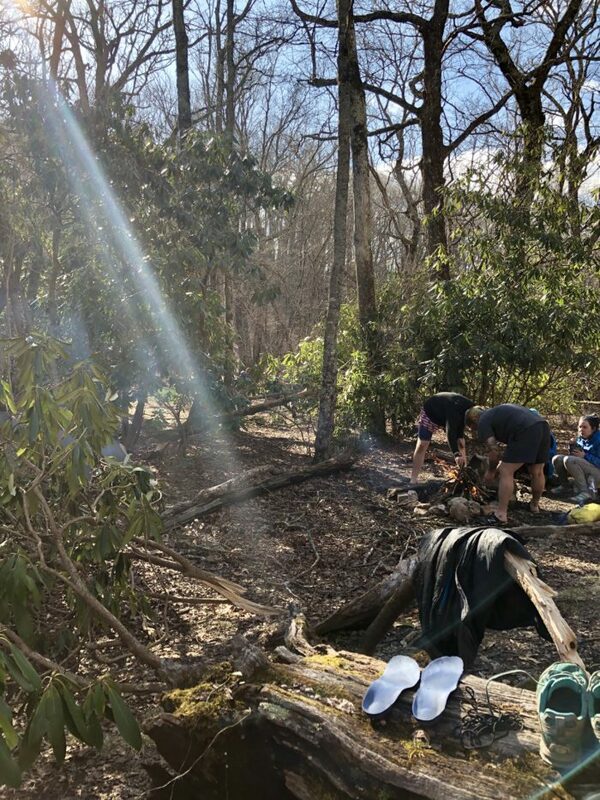 But yes, friends are what I wished for most on my Appalachian Trail thru-hike. And I’d heard about the idea of a tramily. Or trail family. 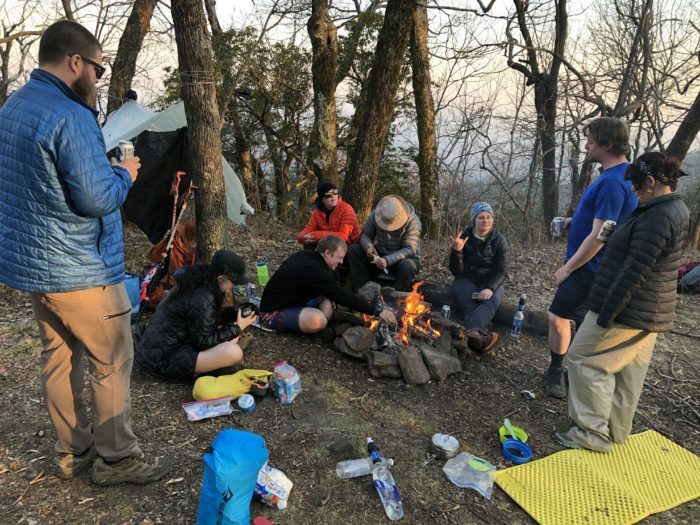 One of the things that stood out from past thru-hikers is that you make friends with people from all walks of life here in a way that you wouldn’t in your normal world. What a trail family is and is not. It’s not necessarily permanent. Groups are fluid and people can leave and rejoin, as well as interact with more than one group. It’s not so much a thing you pick, as a thing that finds you. We all fell into hiking and camping and overnighting in town together, and before we knew it, we were a group. Some groups are all similar in age, but we like being “inter-generational.” The youngest in our crew is 19, and I’m the oldest at 42. I love that we can all bring different skills and life experiences to bear. We don’t all hike in a line like kids on a field trip. 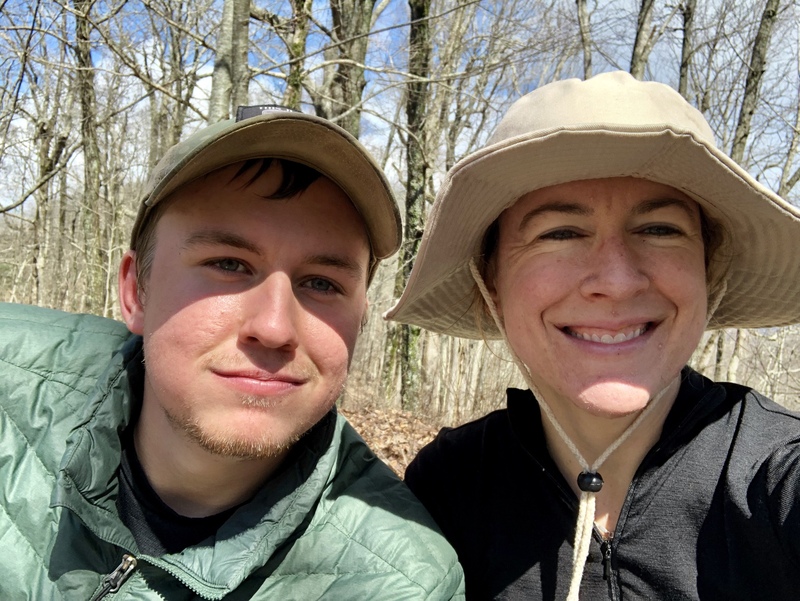 A couple of us might hike together for portions of the day, and often a few of us will stop for lunch together. 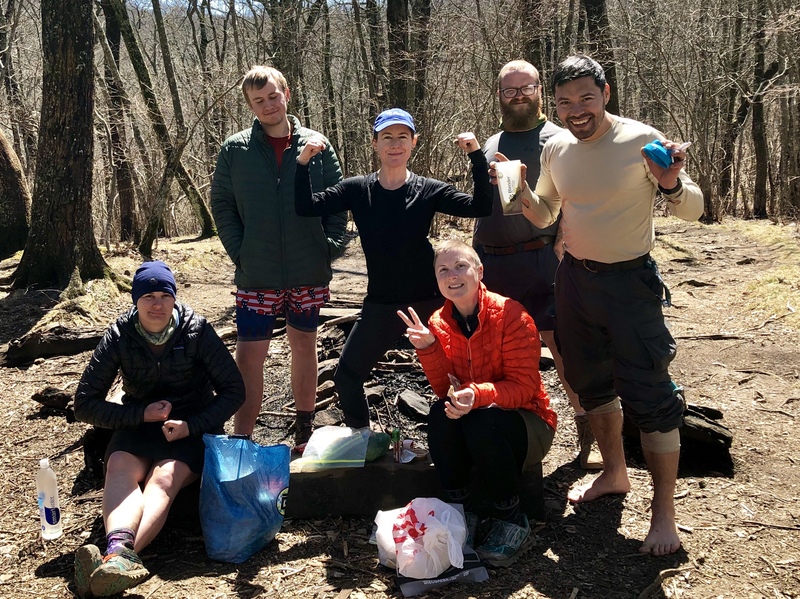 But what makes it a group is that we camp together, leave around the same time, and then hike the same daily mileage so we end up at the shelter together. Large chunks of the day we might be hiking solo (different paces), but breakfast, dinner, and campfire are almost always with the group. There are tons of other groups of people when we get to a campsite (usually). Like between 50 to 100. So groups kind of all overlap. 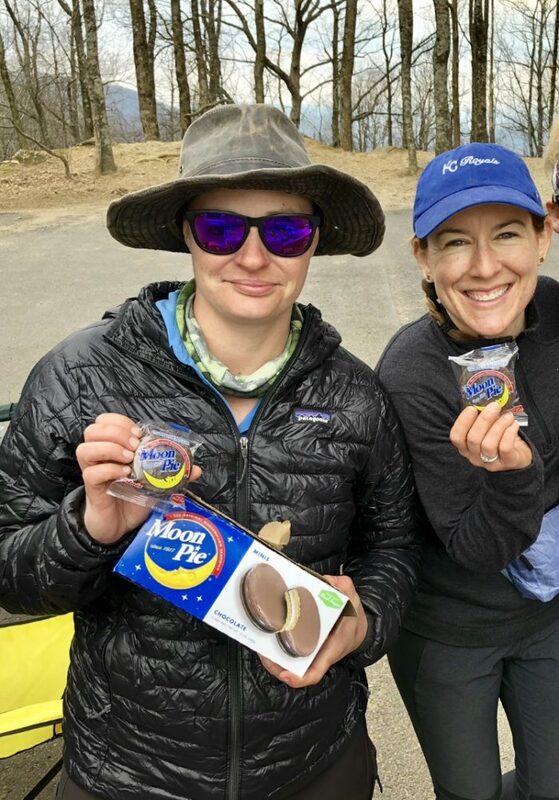 A trail family makes a world of difference in bookending your day with familiar faces, dividing up the job load, and planning ahead the mileage. 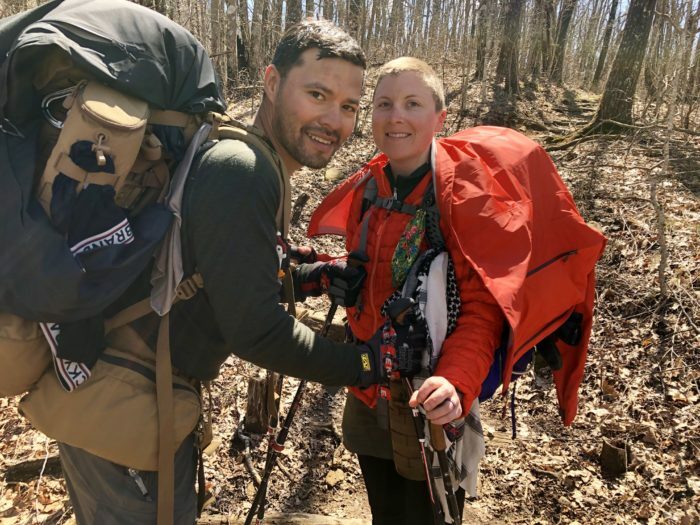 You can schedule zero days together (when you hike zero miles and spend time in a town), and trade everything from backpacking knowledge to oatmeal packets. 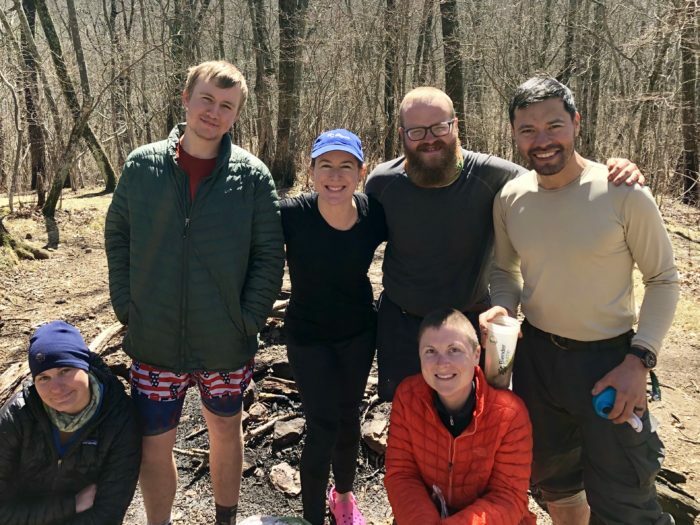 For me, the camaraderie, fun, and practical help I’ve gleaned from my trail family have been indispensable. 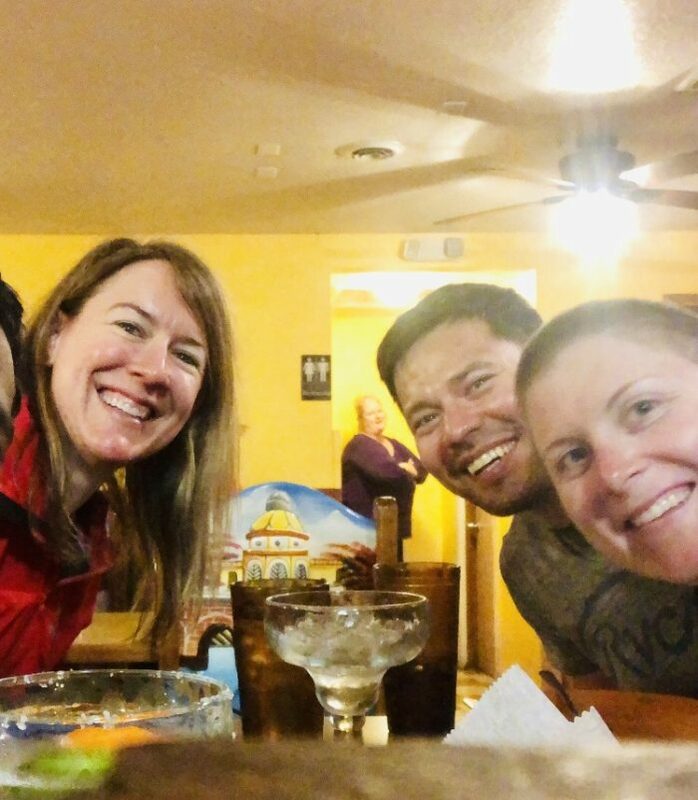 On our hardest day, the only thing stopping me from giving up during a prolonged storm of 35-degree rain, fog, and 12 miles of mostly elevation and mud, was knowing my friends were waiting for me at camp. Back in real life I have a friend named Amy. 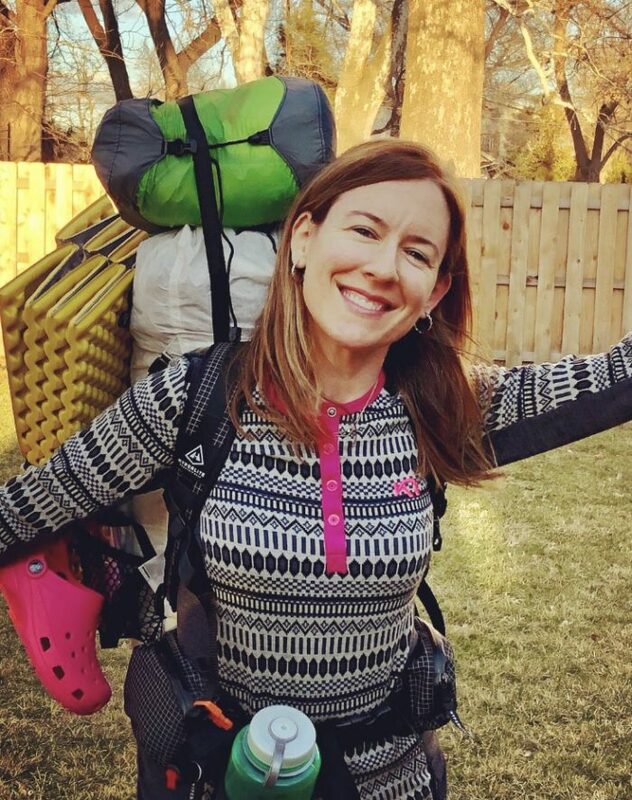 She researches the heck out of things, knows something about everything, and has mad skills at planning, masterminding, and leading trips. She thinks ahead, comes prepared, and is always happy to share. Everyone should have a friend like Amy. Guess what? My trail family is full of Amys**! 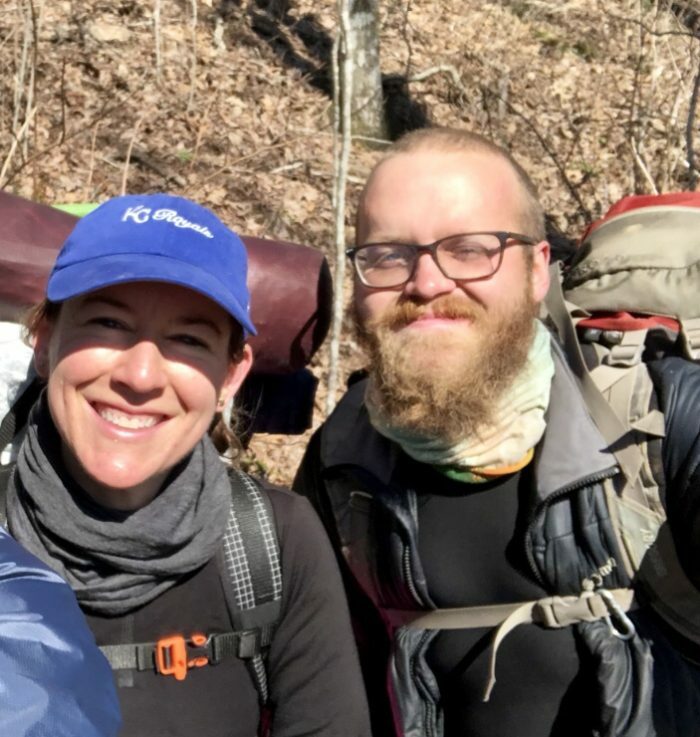 I could’ve shown up on the trail knowing next to nothing and been totally set within a week, traveling with this gang. Tree-beard hails from West Texas, and ranks as our #1 all-around utility player. 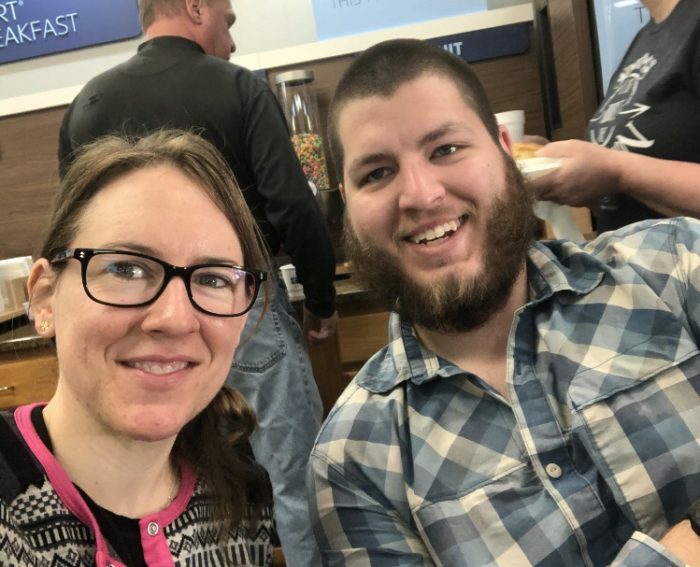 He is a wizard at fires and bear bags, and knows a ton of backcountry survival skills, like how to make a John Deer tractor go 90 miles per hour. A sous chef in real life, he regales us with wicked tales from the restaurant jungle, and gives unparalleled advice on how to up our culinary game on the trail. Freighter graduated from Hope College in Michigan, a small Christian liberal arts school. Two of my former bosses went there, so this brings me a sort of familiar comfort. An engineer currently based out of Chicago, FT not only shares food and water at the ready, he also amazes us with how silently and quickly he packs up out of camp each morning. Also it’s just good to have an engineer in your group. Moonpie might have to rank as overall MVP of the fam for the sheer fact that she’s already thru-hiked the entire AT. I think it was sometime during the George W. administration, but no matter; she truly does know everything that matters for life out here. 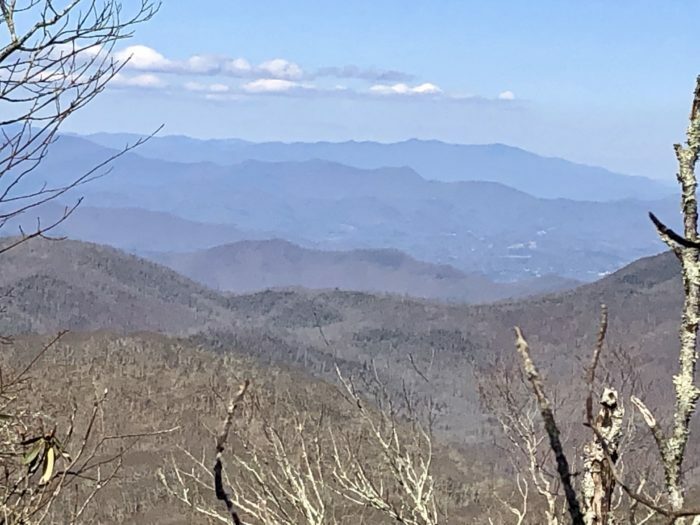 A Florida bank operations manager in real life, she is relentlessly positive, tells us what to get excited for on the road ahead, and is never wrong. Also, she shares her chocolate. Jim / MacGyver. He’s the quickest one to help you figure out a better way. By “you,” I mean me. By “better way,” I mean: correctly staking the rain fly on my tent, choosing a better hat that helps me stave off sunburn, effectively making use of the space in my pack, creatively lighting my stove when the igniter won’t work, and instituting the “everywhere we go let’s all pick up at least three pieces of trash” game. An Indiana iron worker in real life, Jim is 35 but really the senior statesman of the group. Also, he can climb up to the rafters of a trail shelter to hang backpacks, to the tune of Mission: Impossible. Speaking of tunes, Jim’s wife, Megan, always has a few cranking from her speaker on the trail. Not only does she bring the orange to the party (literally half her gear is tangerine-colored), she is an oncology nurse in real life and can tell you exactly which song will give you the right beat for CPR compressions (Stayin’ Alive). Megan’s a vegan, which means she gave me her Thai Curry Good-to-Go meal because it had fish oil in it and I loved it so much. We also once shared very watery margaritas at a Mexican restaurant in town. I for one feel better having a nurse among us. 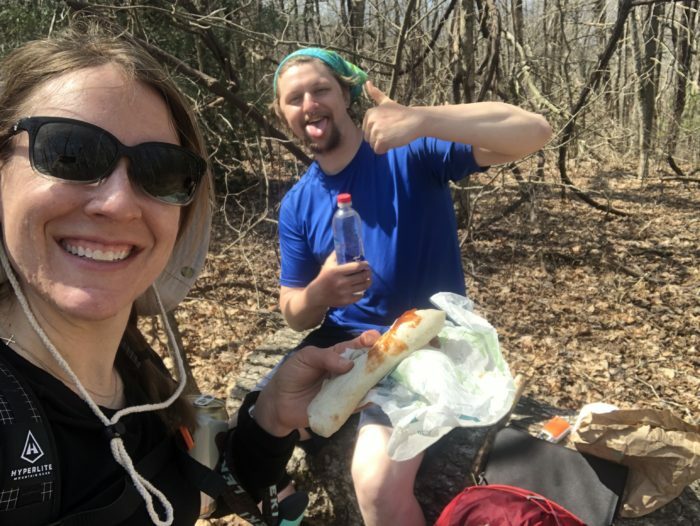 Don’t ask him about his trail name unless you’ve finished eating. A native Georgia boy, 50/50 is here with his actual family (two sisters and a dad) who are never too far away. He graduated from high school last year but has lived a thousand lifetimes and taught me a ton already about military service (he’s enlisting after this), hammocking, fishing, and how to track those Georgia rain clouds. He prides himself on a 50-pound pack, but like me, somehow didn’t pack enough food for the week. Between marshmallows and Jolly Ranchers we’ve been hungrily getting by. We fantasize a lot about breakfast food on our morning walks. Me when I used to be clean and full. I guess these are getting longer with each one, but I’m not sure what to say here. 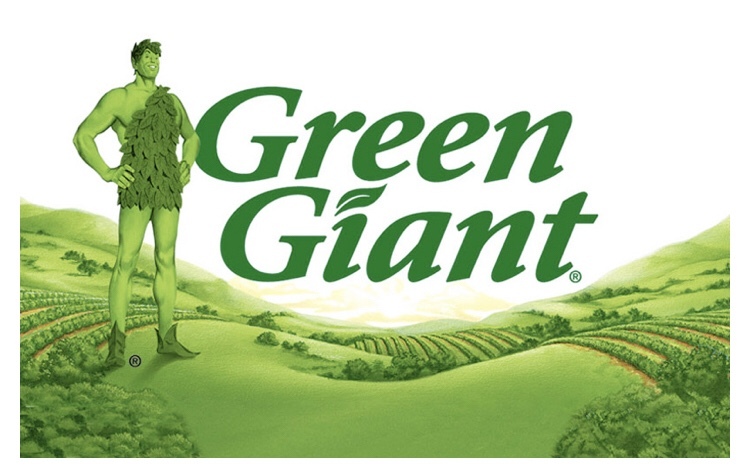 My trail name so far is Jolly Green Giant, or Jolly for short, because they say I keep peddling the greens powders, am always smiling, and am obviously a giant. I’m not sure what I bring to this operation since I have very few trail-transferable skills as a pastor. No one has asked for baptism or communion, and I am definitely not overwhelming anyone with my backpacker skills. 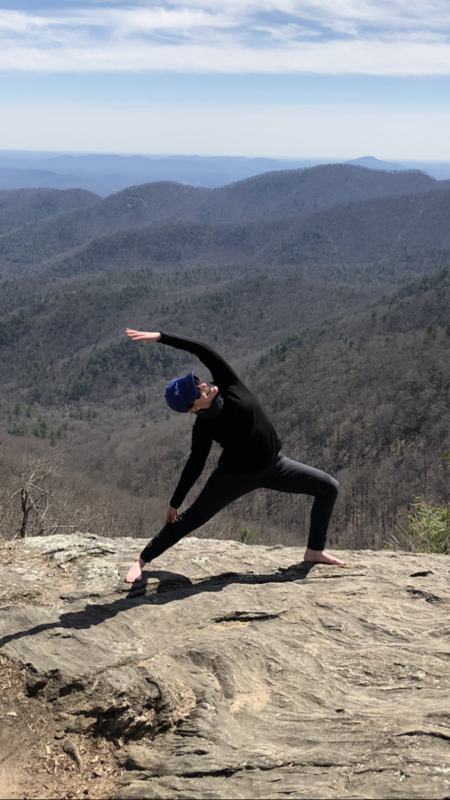 Thus far though, people seem to appreciate my daily yoga sessions, cups of hot tea, sharing the dinners I can’t finish (this ended after week one), and maybe my single greatest contribution to date: securing us a safe and comfortable hitch (free ride) out of Hiawassee with- wait for it- a Sunday school teacher. *Fear not, Mom and Dad- I am still the 1980s “Just say no” club kid you know and love. **Amy, don’t worry. There is still only one you. ***Note: I don’t read the comments; thanks for understanding. Friends and family can message me via text, email, or social media. It’s good to see that your yoga teacher training has come in handy!!! I love every ounce of reading your posts, Cari. It is so good to hear you are still smiling all the time, still you!